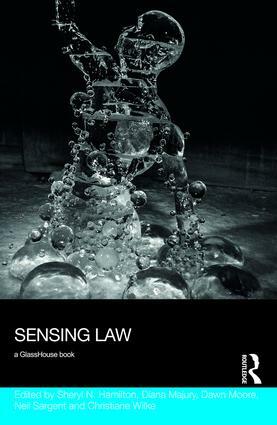 A rich collection of interdisciplinary essays, this book explores the question: what is to be found at the intersection of the sensorium and law’s empire? Examining the problem of how legal rationalities try to grasp what can only be sensed through the body, these essays problematize the Cartesian framework that has long separated the mind from the body, reason from feeling and the human from the animal. In doing so, they consider how the sensorium can operate, variously, as a tool of power or as a means of countering the exercise of regulatory force. The senses, it is argued, operate as a vector for the implication of subjects in legal webs, but also as a powerful site of resistance to legal definition and determination. From the sensorium of animals to technologically mediated perception, the ways in which the law senses and the ways in which senses are brought before the law invite a questioning of the categories of liberal humanism. And, as this volume demonstrates, this questioning opens up the both interesting and important possibility of imagining other sensual subjectivities. The editors are all based at Carleton University, Ottawa, Canada.